Last week I when I was covering the Pediatric Ward in our local hospital I managed an 18 month child who nearly drowned in a backyard Koi pond. The water was only a few inches deep. The child was found face down in the water and it wasn’t known how long he was under water. According to the records, other children at the house were watching the child and the parents were inside. It took 25 minutes to resuscitate the child in the Pediatric Intensive Care Unit. He was on a ventilator for a few days, had complications of low blood pressure, and developed seizures in the ensuing days with an abnormal EEG but normal brain MRI. His diagnosis was Hypoxic Ischemic Encephalopathy, in other words, he had brain damage due to lack of oxygen. Once he was stable, he was transferred to the General Pediatric ward where I managed his care. His neurological prognosis does not appear promising, he just lies in the bed moaning, does not make eye contact, it’s difficult to say if he even recognizes his mother, does not grasp items, and has difficulty taking food orally. Now he’s being fed through a naso-gastric tube. We’re hoping with lots of physical and occupational therapy, he may get back some of his developmental milestones. This is a very sad example of a preventable near-drowning accident. Unfortunately I have heard the same story more times than I care to remember; parents were not supervising the child or the child was out of their sights for “just a minute.” It just takes seconds for a child to slip face down into a tub, pool, or pond. 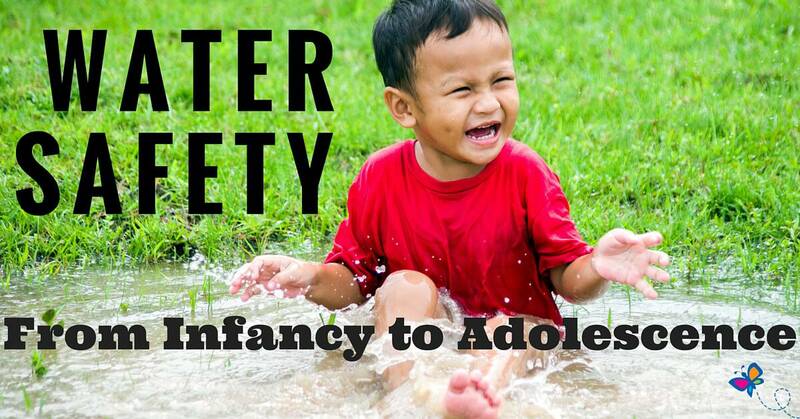 Every year thousands of children drown or nearly drown in pools, bathtubs, and backyard ponds. In California, it is the leading cause of accidental death in children less than 5 years old. 77 percent of the time the children were missing 5 minutes or less before they were found drowned or submerged. In adolescents and adults, 30-50% of drowning are related to alcohol. In about one-third of the cases, the drowning will lead to moderate to severe brain injury. Many of these tragedies are avoidable and preventable if caregivers take a few simple precautions. Most caregivers worry about swimming pools and bathtubs but there are hidden dangers around the house. Houses with pools should have fences around all sides with a self-closing, self-latching gate. In addition, there should be rescue equipment such as a shepherd’s hook or life preserver, and a telephone nearby. An adult who knows CPR should be watching the children at all times. Toys should be removed from the pool after swimming to avoid tempting children to reach for them. After swimming the pool gates should be secured; if possible, a pool cover should also be place over the pool. Some parents believe that by teaching their infants how to swim early in life, that they can prevent drownings. Infants have poor head control and have difficulty in raising their head out of water. Although floatation devices are useful, they are not a substitute for good supervision. The reality is that children are not developmentally ready to learn how to swim until they are over 4 years old. Also remember that even after learning how to swim, children should still never be left alone in a pool. Adolescents and young adults should also be supervised around water because of the temptation of alcohol and other drugs often impair judgment and motor skills that lead to drowning even if they were experienced swimmers. Small buckets such as 5 gallon buckets: if small children fall in, they cannot push themselves out and can drown. Fish ponds and water fountains: small children can easily drown in a small pond if they fall into as little as 2 inches of water. All buckets, pails or tubs should be emptied after use; in addition buckets or pails should be turned upside down to prevent water accumulation from rain. If there are any wells or water filled ditches nearby, adults should always be nearby to watch them. It is recommended that there are multiple layers of protection to prevent pool drowning. The first line of defense is to never leave a child unattended if there is any possibility of drowning danger. Swimming pools should have all sides completed fenced off. Hot tubs or spas should also have a rigid lockable cover or a fence on all sides like a swimming pool. In addition a pool alarm can help detect children entering the pool. Pool toys such as “noodles”, “water wings”, or inner tubes are not water safety devices and should not be used in place of true safety devices like life jackets. These tools are useful but the best prevention is a parent’s set of eyes watching the child all the time. Another place where water safety measures should be taken seriously is on boats or lakes where families enjoy water sports. Everyone should be wearing a life vest while on a boat or personal watercraft. Be sure that it is a coast guard approved life vest . Also there is a hidden danger of inhaling carbon monoxide fumes from the boat motor. No one should hang on to the back of a boat near the motor because carbon monoxide is odorless and can cause loss of consciousness. Alcohol can be a real problem on lakes and can lead to risk taking behavior and subsequent drowning. The basic tenet is to aways be aware of the surroundings, implement safety measures and not take any unnecessary risks.